Dog or animal bites can leave victims with serious aftermath, including rabies, head injuries, scarring, trauma and even death. Then you have to consider your medical bills current and future, as well as lost income. There are approximately 5 million dog bite victims each year. Many times the victims are just in the wrong place at the wrong time. Some owners allow their dogs to believe that biting is a form a play, and the dogs don’t know where to draw the line. Such behavior should not be tolerated. If you or a loved one are the victim of a dog bite, those owners and/or handlers should be held responsible. It is extremely important that you identify the animal that bit you. The most important reason being the possibility of the animal carrying rabies. Also, if you were bitten by a dog or other animal, you’re more than likely entitled to receive compensation from the animal’s owner. Try to Secure Witnesses to the Dog Biting Event. 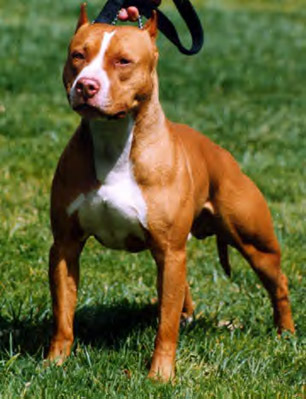 Many dog attacks happen in public or in the home of an acquaintance/family member. In public you actually have a better means of recourse because complete strangers present at the event can vouch for you. In other situations it becomes a my-word-vs-his-word scenario. It is also very important that you obtain medical treatment. You should go to the emergency room immediately after being bitten. If you have lacerations on your face, you should ask to be seen by a plastic surgeon. Also, make sure to take photos of all your wounds. If your clothes are ripped or torn, make sure to take photos of them as well and do not throw them away. DO NOT talk to the insurance company. If the dog owner is insured, you might get a call from an insurance company. Do not make any statements to the representative verbally or in writing. Do not discuss money or value. Do not accept any money until you have spoken with a lawyer. Insurance companies do not want to help you; they want to save themselves money. The only interest they have in mind is their own. If they can convince you take only a fraction of what your injury is worth, then they have done their job. You must contact a lawyer that specializes in animal and dog bite cases. To get the full value of your injury, you must hire a lawyer. Without an attorney, the insurance company will rarely offer more than 20% of the true value of your case. Therefore, it is important that you are represented by an experienced dog bite lawyer. If you believe you’ve experienced a dog bite incident and the other party is at fault, use our free lawyer consultation service in order to have your case reviewed and matched to the best attorney in your area.